Please take a few seconds to leave feedback! 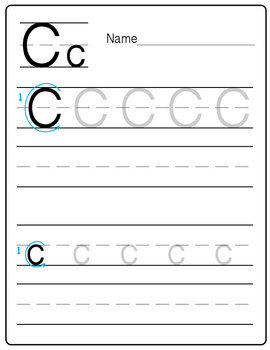 This Freebie "Letter C" practice handwriting worksheet allows you to see the quality of our alphabet worksheets before buying. This is a 8.5x11 printable PDF used in primary education for learning and reenforcing basic handwriting skills. We also have a printable Vowel set.